The research shows 94 per cent of APAC marketers think they deliver well-integrated multimedia campaigns, but only 48 per cent of Australian consumers think their ads ‘fit together’ cohesively. And with Kantar Millward Brown also reporting well integrated and customised ad campaigns can improve overall campaign effectiveness by as much as 57 per cent, there is good reason to get integration right. Senior media consultant at Kantar Millward Brown Australia, Allan Breiland, said more than half of marketers are missing out on the chance to substantially boost campaign ROI. “Integration is important because it can boost the effectiveness of a campaign by up to 60 per cent, and who wouldn’t want that? Poorly integrated campaigns can still generate impact, but you’ll be missing that added benefit,” Breiland said. He suggested key reasons for this lack of integration are the absence of a cohesive central idea that links a campaign across channels, and inadequate channel customisation. “When it comes to integration, we believe there is work to do. Often marketers can overthink things and muddy the waters across different channels,” Breiland said. Kantar's research also shows 73 per cent of Australian consumers see ads in more places compared to three years ago, 69 per cent feel that ads are more intrusive, and two thirds see advertising as negative. “Consumers in Australia do tend to dislike advertising more than other markets, so it a bigger challenge here. If a campaign is done well you can grab attention and maintain it, but you need to make it easy for people to connect the dots between different elements of your campaign in order to explode,” Breiland said. The report draws on qualitative research of 14,000, 16-65-year-olds across 45 countries in 2017. A key finding was that one in four campaigns were not well integrated and only 54 per cent of consumers felt online and offline campaigns were integrated well. “When it comes to offline versus online, sometimes the marketing teams use different tasks for each, and they can become more disjointed as a result,” Breiland said. “Marketers working in siloed ways leads to fragmentation and therefore a disconnect between the different elements of the campaign. “Often, marketing is trying to do too much and they overengineer the core idea. We see this a lot - different departments doing different things within the organisation, meaning the campaign is not cohesive. “The most important thing is to not drop the ball and lose the core idea. Put your consumer hat on. Ask yourself if you are connecting the dots. A marketing director has lived with the baby for the last eight months so they deeply understand the core idea, but consumers may not because it’s actually too subtle. “Getting it right upfront is way better than trying to fix it later." 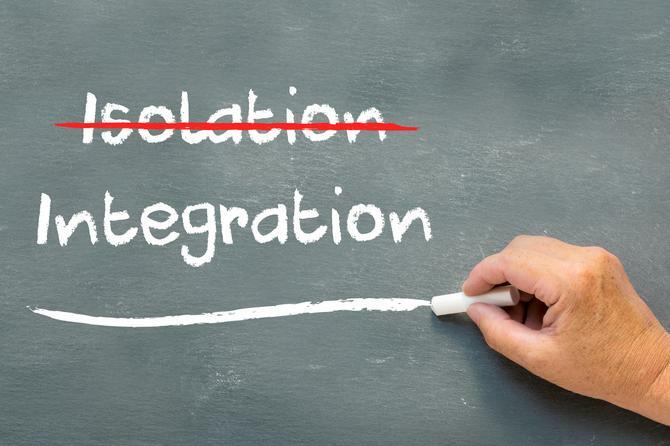 So how can marketers get integration right? Kantar Millward Brown recommends improving in five key areas. Use as many integration elements as you can. “Ideally try to use all the senses. Visual cues are important, and memorable characters differentiate, as do things like consistent audio. It’s not about cramming as much as you can in, it's more about registering and connecting things across the campaign and going beyond a simple strapline and logo,” Breiland said. Be true to the ‘big idea’. “Have a killer idea and have it across all the touchpoints. This might mean staying on top of management internally to ensure people don’t go rogue. An easy way out is to go back to the TVC and work from there, but we don’t recommend that. It’s about staying true to the core idea,” Breiland said. Make sure every piece of content counts. “Ensure your creative quality across all touchpoints to do the big idea justice. You should get some sense of how all the creative works together ahead of time, ideally,” he said. Customising is key. “Don’t just chuck your TVC on YouTube, marketers need to customise the content for this space. It needs to be easy to get the idea straight away on Instagram, for example, but you can tell a longer story in a channel like Catch up TV, where you have a bit more of a captive audience. Keeping it sharp and to the point in certain channels is important, but there’s no reason people won’t be willing to give you their time if you hook them in with things like storytelling and give them something compelling. Give them a payoff,” Breiland said.